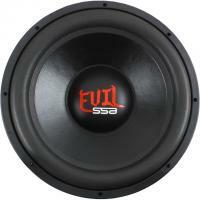 for sale 2 ssa evil 15 inch subwoofers. dual 2 ohm voice coils, upgraded carbon fiber dust caps. only used around 4 months before I pulled out to rebuild box and now build is going in different direction so I no longer need. coils are still in perfect condition. asking 900 dollars for both(you pay shipping)or straight trade for a decent 7-8k amp and ill pay shipping on subwoofers and you pay shipping on amp. located in florida ,32177.
yes I still have and I check price to that zip when I get off work.